My next investment (aside from this unreal LBD by DVF) is a fancy leather jacket. I have a few great staple leather jackets but they are all very basic. I want one with a little something extra and any of these would do. Who could say no to a peplum waist or ruffled neckline? Makes the jacket ultra-fem and oh so chic, don’t you think? 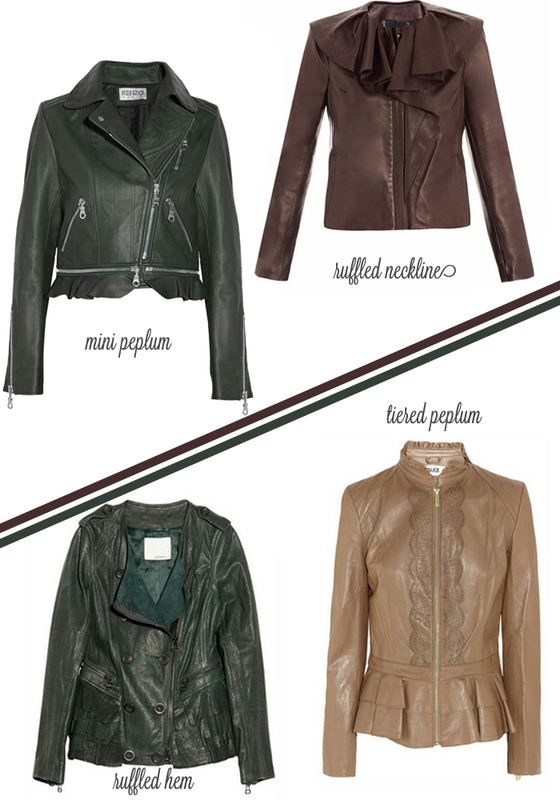 I like the ruffled neckline best if you’re going for a statement leather jacket. It’s so sophisticated and chic! wow, great pieces! Definitely a great investment. That mini peplum is too chic!